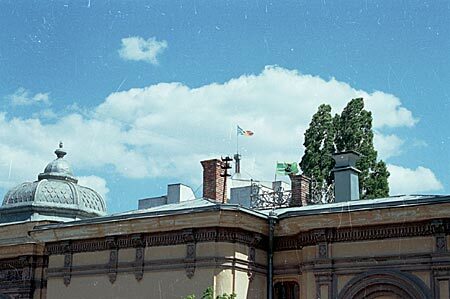 The exhibition took place between June 5-15, 2000, in the State Museum of Fine Arts in Chisinau. Visitors were invited to see the seven spaces that displayed the artists' work. The works were arranged in such a way as to make visitors-guided by the texts posted on walls-return to the first exhibition room and write down their thoughts on the exhibition. Now, after the event has closed, we (the project organizers) have the opportunity to ponder on the results of its first stage. Fourteen artists who wanted a deeper involvement with the work of famous 20th-century artists have written down the results of their research, with references and personal conclusions. These texts were aimed at a better organization as well as at helping viewers in their excursion through 20th-century art, which was reflected in the exhibited works. 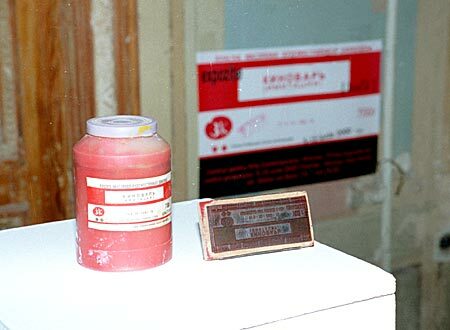 At the museum entrance there was a can of red paint (Cinnabar, or Kinovari in Russian) placed on a "pedestal." Next to the can of paint was placed the project's seal, which had been applied to all the works exhibited there as well as to the texts on the walls. In the latter case it was meant to point to viewers the itinerary from one piece to the next and from one text to the following. 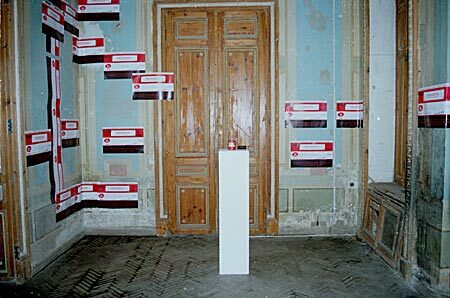 Each visitor had to read the text explaining the project, which was posted at the entrance of the following room. 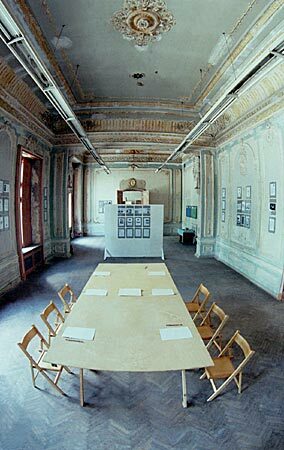 The first exhibition room contained an imitation of an installation by Kabakov: All around the room there were print-outs of Internet sites (with the URL addresses) and Xerox copies from books; all this contained general information which formed the basis of the exhibited works. In the middle of the room there was a table with six "Comment Books" with pens tethered to them. Therein visitors were asked to describe the new information they had accumulated by seeing the exhibition, to share their opinions about the exhibition, and to ask questions that arose for them while going through the exhibition. 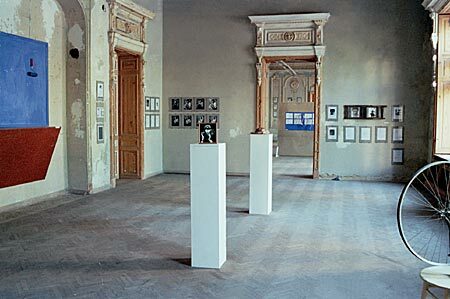 Depending on the part of the first room in which visitors started their navigation, they could move on to other rooms, which were organized according to art gallery traditions. Next to each piece there were written explanations from the author and exact references to the piece's prototype. After the closure of the exhibition, we have collected and analyzed all the comments left behind by visitors. The results of this impromptu poll have helped us understand to what degree the first project stage was successful and how we should organize the next one.